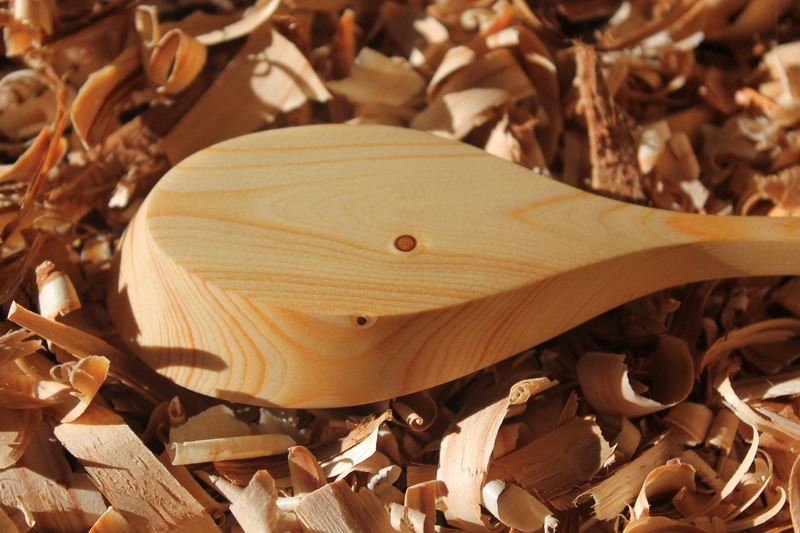 I had been waiting a few days till I found a bit of suitable wood for this week’s spoon. 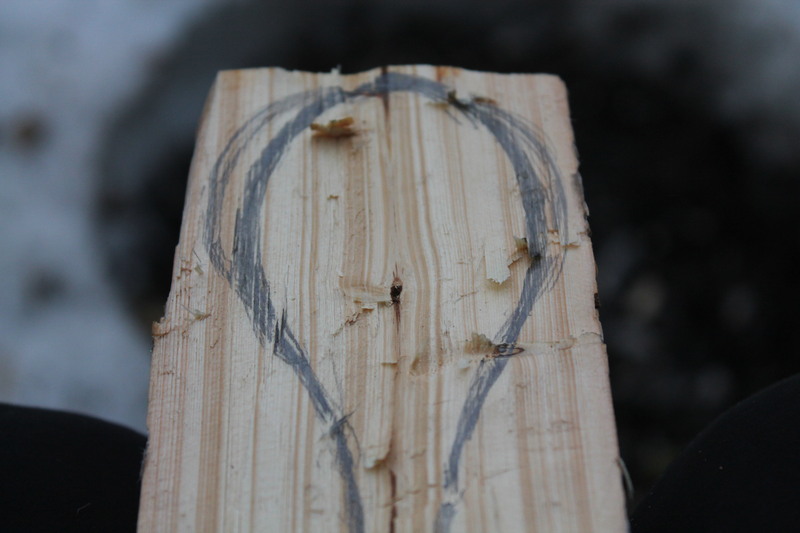 It was when I was splitting some fire wood noticed how beautiful the grain was – sometimes the right bit of wood find you. I didn’t take many pictures of the whittling stages, but it changed shape and design numerous times, slowly morphing into the final spoon to see above. 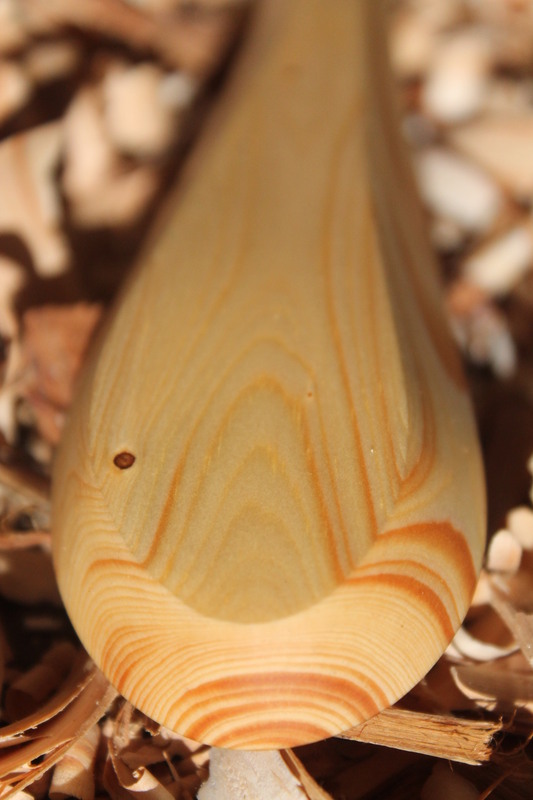 There were many knots in the wood, and at times it was tricky to whittle, but generally it was a nice spoon to carve – tight grain but easy to work. Spruces grow upwards spiraling, increasing stability – the spoon naturally took on this twist, a nice but not planned design addition. I would carve some days when I got a moment in between setting up camp, waiting for food to cook or just before bed, but this didn’t get me very far. I completed most of it on the last day of the trip, when I had a rest day. In fact I didn’t leave my camp once, it was my day of rest and I dedicated it to reading and whittling. With blue sky all around and balmy temperatures of 4°C I set up a sofa-come-chaise longue with my reindeer skin on the snow. Throughout the day I laid here, basking in the warmth of the sun, listening to the occasional chatter of surrounding birds, reading, whittling and drinking lots of tea. The spoon was a grubby mess after I had finished the final shape with the knife. A week without a proper wash means your hands resemble a coal miners. So I left the sanding till I had returned home. This entry was posted in 52 Spoons, Traditional Skills and tagged 52spoons, bushcraft, Carving, handmade, homemade, linseed oil, Norwegian Spruce, outdoors, spoon, spooncarver, spooncarving, Spoons, spruce, traditionalskills, Whittling, wood, woodwork by mountchris. Bookmark the permalink.